James Fanto Deetz was born on February 8, 1930 in Cumberland, Maryland to John Harold Deetz and Catherine Fanto Deetz ("James Fanto Deetz (1930-2000) Curriculum Vitae & Personal History"). He grew up in his hometown and after graduating from Fort Hill High School, Deetz attended Harvard University (Brown, “Memorial” 104-105). Initially, he did not plan on becoming an archaeologists, but after his first year, he later changed his mind decided to explore the field of anthropology. Before Deetz could receive his degree, he served in the U.S. Air Force during the Korean War from 1951 to 1955 ("James Fanto Deetz (1930-2000) Curriculum Vitae & Personal History"). His service interrupted his education, but it was where he meant his first wife, Eleanore Joanne Kelley, and they got married in 1953 (he would later divorce her in 1997 and get married to his second wife Patricia Elena Scott), and had ten children together ("James Fanto Deetz (1930-2000) Curriculum Vitae & Personal History"). Upon his return from the war in 1955, Deetz returned to Harvard University to finish his studies and he earned a degree in anthropology in 1957 (Brown, “Memorial” 105-106). From there, Deetz furthered his education at Harvard by aiming for a Ph.D. in anthropology. 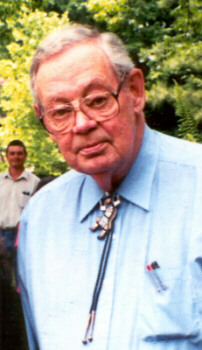 Deetz published his dissertation called, “An Archaeological Approach to Kinship Change in Eighteenth Century Arikara Culture” in 1960, and shortly after, he earned his doctoral degree (Brown, “Memorial” 106-107). Deetz graduate work earned him recognition in the archaeology community, so as his career progressed, he would take part in many important archaeological projects, write many books and papers, and he would also work as a professor at many universities. 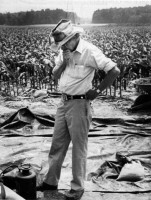 Deetz’s dissertation work mainly focused on his findings from the Medicine Crow site in South Dakota during the late 1950’s (Brown, “Memorial” 106). He examined many artifacts at the site, but his most notable work there was based on pottery rim sherds. A colleague of Deetz had mentioned in passing how “pottery with certain deigns seemed to be clustered in different structures” (Brown, “Memorial” 106). Deetz’s research at the site in combination with his colleague’s statement caused Deetz to an important discovery: there was a relationship between the pottery and residence patterns of the Arikara people who used to reside at the Medicine Crow site. From excavating the site, over 2,000 rim sherds were acquired and Deetz analyzed the sherds by running multiple comparison tests that were based on certain attributes of the ceramics (Johnson 61-63). His data suggested that there was a relationship between ceramic patterns and social organization, or more specifically, the Arikara’s residential patterns ("James Fanto Deetz (1930-2000) Curriculum Vitae & Personal History"). In other words, Deetz was able to “demonstrate that the changing social organization of the Arikara…reflected in the association of stylistic attributes found on their ceramics” (Mitchell 89). From further analysis, Deetz was able to make inferences on the descent and kinship system of the Arikara, such as they had a “descent system with matrilocality to a generationally segmented society with patrilocality” (Mitchell 89). The idea of connecting human behavior to patterns on artifacts gained Deetz recognition in his field. In addition, the method Deetz used in his study was interesting. He used a computer to complete his analysis on the ceramics, to look for “‘stylistic coherence”’ (Brown, “J. C. Harrington Medal”). With the massive amount of data that was collected from the site, this made the analysis process easier for Deetz. James Deetz also was involved in the creation of Plimoth Plantation, a museum for Native Americans and Pilgrims. He joined the project when the founder, Harry Hornblower, approached Deetz in 1959 (Brown, “Memorial” 107). In order to build the most accurate recreation, Deetz used of information from both the archaeological and historical record, such as with his findings from the historic Howland site (Brown, “Memorial” 104,107). At the Howland site, Deetz was know best for his analysis of the pipe stems, for he used them to help develop a chronology of the site (Brown, “Memorial” 107). Deetz contributed a lot to the Plimoth Plantation project, and from his many excavations and research on Pilgrims, he not only was able to help Hornblower with the museum, but he also was able to uncover new information on the culture of the Pilgrims and Native Americans. For example, Deetz studied the Pilgrim diet or foodways, and with the help of Jay Anderson, both archaeologists were able to learn more about what the Pilgrims ate during Thanksgiving (Brown, “Memorial” 112). From the 1960's to 1970's, James Deetz took part in another archaeological research project that focused on the style of gravestones in a New England Cemetery (Brown, “Memorial” 108). The cemetery contained gravestones that dated from the 17th century to the 20th century, and Deetz and his colleagues noticed that specific designs were more prominent on the gravestones than others (Feder 212). After conducting a computational seriation, the archaeologists saw that different designs were prominent during different periods of time. In chronological order, three designs stood out the most: death’s head, cherub, and an urn and willow (Feder 213). The main pattern Deetz and his colleagues observed was that the data followed a “lenticular pattern” or “battleshape-curve,” which refers to the pattern seen on a seriation graph, where over time, an object’s distribution is lowest when it is just being introduced or when it is losing popularity, and is highest in between the two stages (Baugher and Winter). The three designs demonstrated this pattern, but at different times due to certain styles rising to popularity at different times, and replacing the previously popular design (Feder 213). Deetz and his colleagues described this by saying that the “styles do form single peaked popularity curves through time” (Baugher and Winter). From the results, Deetz and his colleagues were able to relate it to the evolution of religion at the time (Baugher and Winter). In addition, the data allowed for interpretation of “stylistic evolution,” for grave carvers’ art styles could be traced and would “reflect both ongoing culture change and [their] particular manner of handling design elements” (Deetz and Dethlefsen). Overall, Deetz and his fellow archaeologists showed how gravestone research could provide information about culture and human behavior (Vlach 4). The gravestone research of Deetz and his colleague Edwin Dethlefsen earned them the Harriette Merrifield Forbes Award in 2000 (Vlach 4). The Flowerdew Hundred Planation Site in Virginia was also another important project Deetz was involved in from the 1980’s to the 1990’s ("James Fanto Deetz (1930-2000) Curriculum Vitae & Personal History"). The site was where Deetz held his field school for archaeological students to gain field experience, but Flowerdew was also a well-known example of Deetz applying historical archaeology. At Flowerdew, tobacco pipe stems were the most prevalent artifacts found at the site, so Deetz dated the pipe stems and was able to come up with a settlement pattern of the area (Orser 269). However, Deetz need more information to explain the pattern he saw, so he referred to the written record on Flowerdew, and from this, Deetz was able to relate the pattern he saw to the tobacco industry and the introduction of slavery (Orser 269). The written record was crucial in allowing Deetz to reach the conclusions he did at the site. James Deetz’s use of technology in archaeology was the first of its kind, making him one of the pioneers for digital archaeology and an innovative thinker, for he was ahead of his time. Prior to the 1950’s, the archaeological method was not technology based; everything was done by hand. It was a meticulous process, for the context or the location and relation of artifacts to other objects is crucial data archaeologists wanted to collect, and since sites could not be re-excavated, archaeologists wanted to make sure they were making a detailed, accurate, and permanent record of their findings, so that the information was preserved and could not be lost. However, there was the problem of how to analyze, organize, and use the huge amount of acquired data. In the case of Deetz’s dissertation work at the Medicine Crow Site, he recovered over 2,000 rim sherds (Brown, “J. C. Harrington Medal”). If Deetz were to perform the relative dating technique seriation by hand, in order to organize all of his data, it would have taken him quite some time to do so. However, Deetz had the idea of using a computer to look for “‘stylistic coherence”’ among the rim sherds (Brown, “J. C. Harrington Medal”). Instead of relative dating by hand, Deetz used an IBM 704 for the task. He coded the specific traits he saw on the rim sherds onto cards that he fed into the IBM 704, and he created a program that would accomplish the seriation he initially was going to do by hand. 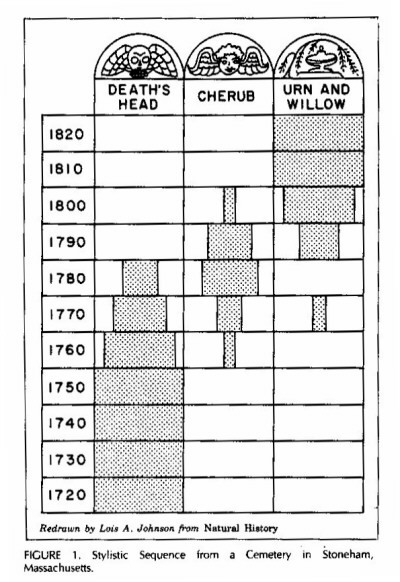 In the 1950s and 1960s, using technology in this manner was unheard of, so when Deetz published his use of technology in archaeology in The Dynamics of Stylistic Change in Arikara Ceramics in 1965, archaeologists were surprised ("A Summary of James Deetz's Work & Publications"). Deetz continued using this technique, such as with his work of seriation on gravestones. His technique was later coined as computational seriation, and his use of computers impacted the field of archaeology, for it was a case study that showed that the methodology of archaeology could expand greatly by using computers. When it comes to historical archaeology, Deetz is one of the most notable figures in the field. Historical archaeology focuses on also incorporating information from the written record, such as from historic documents or publications. Deetz use of the written record in conjunction with the archaeological record, emphasized at the time how powerful historical archaeology could be. Deetz believed that depending solely on the written record would be unwise, for “if only the written records…are studied, then the conclusions will reflect on the story of a small minority of deviant, wealth, white males, and little else” (Feder 77). Basically, to Deetz, the written record was filled with biases and it only represented a small piece of history. However, Deetz was not opposed to using information from historical documents if he was using it along with data from material culture. From Deetz's findings in the Flowerdew Hundred Plantation, he recognized that using the archaeological and written record together was impactful, for he claimed that viewing “each body of data as complementary and unique in its own right, and [moving] back and forth from each” was pivotal in helping him draw the conclusions he made (Orser 269). Deetz helped establish the importance of using more than one form of data, and his style of analysis has earned him high regard in the historical archaeology department. Aside from participating in many research projects, Deetz also had an extensive teaching career. He was a popular professor and he taught different classes at many universities, such as the field school in Flowerdew Hundred Planation and the first historical archaeology class in Capetown, South Africa (Brown, “Memorial” 113-114). In addition, Deetz published many books, such as Invitation to Archaeology (1967) and In Small Things Forgotten (1977), which all contain his work, beliefs, and methodology as an archaeologist ("James Fanto Deetz (1930-2000) Curriculum Vitae & Personal History"). The book Invitation to Archaeology has become a standard book for introductory archaeology classes, for it breaks down the complicated components of archaeology in an easy to understand way (Brown, “Memorial” 109). During Deetz lifetime, he has accomplished and contributed so much to the field of archaeology. His accomplishments include being a part of many archaeological research projects, writing many papers and books, and being a professor at highly distinguished universities ("James Fanto Deetz (1930-2000) Curriculum Vitae & Personal History"). In addition, Deetz earned many awards during his career, such as the Virginia Heritage Award (1995), the J.C Harrington Medal in Historical Archaeology (1997), the Hornblower Award (1999), and the Harriette Merrifield Forbes Award (2000) ("James Fanto Deetz (1930-2000) Curriculum Vitae & Personal History"). James Deetz was recognized for his accomplishments and his most memorable and revolutionary contributions to the field of archaeology are first, his methods. For example, Deetz use of computers in computational seriation introduced archaeology to technology. In the present, archaeology is very reliant on technology. The digitalizing of archaeology has created faster data collecting techniques, preservation of more data and sites, and more accessibility to data. Therefore, much of the potential and efficiency of archaeology today can be attributed to James Deetz's initial use of the IBM 704. In addition, Deetz emphasized the importance of not depending on one type of data in archaeology. He was a supporter of using multiple kinds of data, for he claimed, “’…the combined use of archaeological and documentary materials should permit us to say something about the past that could not have been said using only one set of data’" (Boroughs). From this belief, Deetz shaped historical archeology into the important branch it is today. Lastly, James Deetz also played a huge part in shaping how Pilgrims and Native Americans are viewed, due to his research and contributions at the Plimoth Plantation museum. The museum was the first of its kind, for it had actors reenact the lives of Pilgrims and Native Americans (Brown, “Memorial” 104). The museum is still running to this day, and it is helping to educate the public on archaeology and its past. Therefore, much of what is known today about Pilgrims can be attributed to Deetz. On November 25, 2000, James Deetz passed away due to chronic illness and he was buried in Westernport, Maryland (Brown, “Memorial” 103, 116). James Deetz findings and contributions to archaeology are still being used and are also being taught to the present generation. He was and will always be remembered as a highly influential member in the field of archaeology. "A Summary of James Deetz's Work & Publications." The Plymouth Colony Archive Project. University of Illinois, n.d. Web. 01 May 2016. Baugher, Sherene, and Fredrick A. Winter. "Early American Gravestones: Archaeological Perspectives on Three Cemeteries of Old New York." Archaeology Magazine 36.5 (1983): n. pag. Archaeology Magazine Archive. Archaeological Institute of America. Web. 05 May 2016. Boroughs, J. Jason. "A New Insight into the Early Settlement of Plymouth Plantation." The Plymouth Colony Archive Project. University of Illinois, n.d. Web. 22 Apr. 2016. Brown, Marley R. "Memorial: James Fanto Deetz, 1930–2000." Historical Archaeology 38.2 (2004): 103-23. The Plymouth Colony Archive Project. University of Illinois. Web. 01 May 2016. Brown, Marley. “J. C. Harrington Medal in Historical Archaeology: James Deetz.” Historical Archaeology 31.4 (1997). The Plymouth Colony Archive Project. University of Illinois. Web. 01 May 2016. Deetz, James, and Edwin S. Dethlefsen. "Death's Head, Cherub, Urn and Willow." Natural History 76.3 (1967): 29-37. The Plymouth Colony Archive Project. University of Illinois. Web. 22 Apr. 2016. Feder, Kenneth L. Linking to the Past: A Brief Introduction to Archaeology. Second ed. New York: Oxford UP, 2008. Print. "James Fanto Deetz (1930-2000) Curriculum Vitae & Personal History." The Plymouth Colony Archive Project. University of Illinois, n.d. Web. 01 May 2016. Johnson, Craig. “Book Review: The Dynamics of Stylistic Change in Arikara Ceramics by James Deetz.” The Nebraska Anthropologist 2. (1975). DigitalCommons@University of Nebraska - Lincoln. University of Nebraska. Web. 01 May 2016. Mitchell, Christi. "Activating Women in Arikara Ceramic Production: Chapter 10." Monographs in World Archaeology 11 (1992): 89-93. Exploring Gender Through Archaeology. Appalachian State University. Web. 01 May 2016. Orser, Charles E. "Historical Documents: Using Historical Documents and Archaeological Evidence." Encyclopedia of Historical Archaeology. London: Routledge, 2002. 269. Print. Vlach, John M. "Forbes Award Tributeto James Deetz." AGS Bulletin 24.4 (2000): 4. The Plymouth Colony Archive Project. University of Illinois. Web. 01 May 2016. Cover Image: James Deetz. Digital image. The Plymouth Colony Archive Project. University of Illinois, n.d. Web. 26 Apr. 2016. Image 1: James Deetz at Flowerdew Hundred. Digital image. The Plymouth Colony Archive Project. University of Illinois, n.d. Web. 22 Apr. 2016. Image 2: Medicine Crow Site. Digital image. The Plymouth Colony Archive Project. University of Illinois, n.d. Web. 26 Apr. 2016. 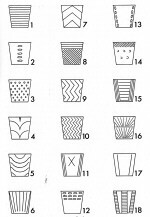 Image 3: Drawings of Arikara Ceramics from Medicine Crow Site. Digital image. The Plymouth Colony Archive Project. University of Illinois, n.d. Web. 28 Apr. 2016. Image 4: Stylistic Sequence from a Cemetery in Stoneham Massachusetts. Digital image. The Plymouth Colony Archive Project. University of Illinois, n.d. Web. 22 Apr. 2016. 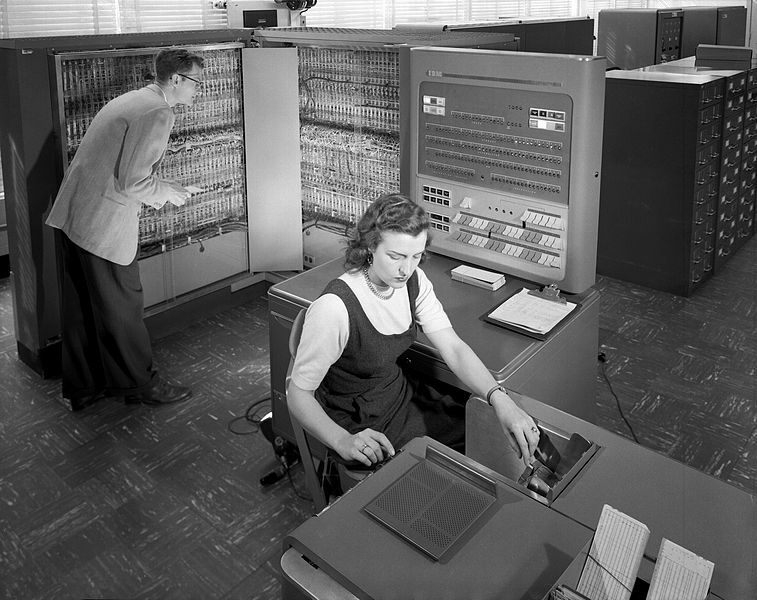 Image 5: An IBM 704 computer at NACA in 1957. Digital image. IBM 704. Wikipedia, n.d. Web. 26 Apr. 2016. Image 6: Invitation to Archaeology by James Deetz. Digital image. The Plymouth Colony Archive Project. University of Illinois, n.d. Web. 22 Apr. 2016. Image 7: Plimoth Plantation. Digital image. Plimoth Plantation. n.d. Web. 22 Apr. 2016.